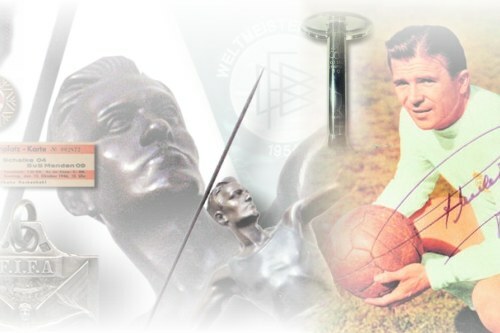 The 73rd AGON-Sportmemorabilia-Auction will end, live in Kassel on the 14th and 15th of June 2019. Advance bids can be made for all items in the auction, bidding is possible until 13:00 CET on the first day of auction, after which this portal is no longer available for bidding. Then all items will then be called out in the order of their catalogue numbers, and the highest bid wins the item. Please note! All bids made are maximum bids, the auctioneer takes the part of the bidder if he or she is not present in Kassel. He will always try to get the best price in the sense of the bidder. Usually this is about 10% above the highest previous bid made when the auctioneer himself has not been overbid.